Very Good. Trade paperback (US). Glued binding. 271 p. Contains: Illustrations. 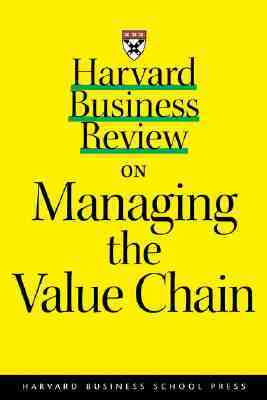 Harvard Business Review (Paperback). As technology and globalization have disrupted traditional operations along the supply chain, the relationship between suppliers, customers, and competitors has changed. Examining this issue from strategic perspectives, this title outlines key ideas and provides guidance for incorporating shifts in the value chain into your strategic outlook.